A lemur made of damaged car bumpers and bin lids. An owl made from plastic junk. Colourful animals have popped up in Paris as part of a new exhibition by Portuguese street artist Bordalo II, who aims to highlight the effect of waste on the environment. 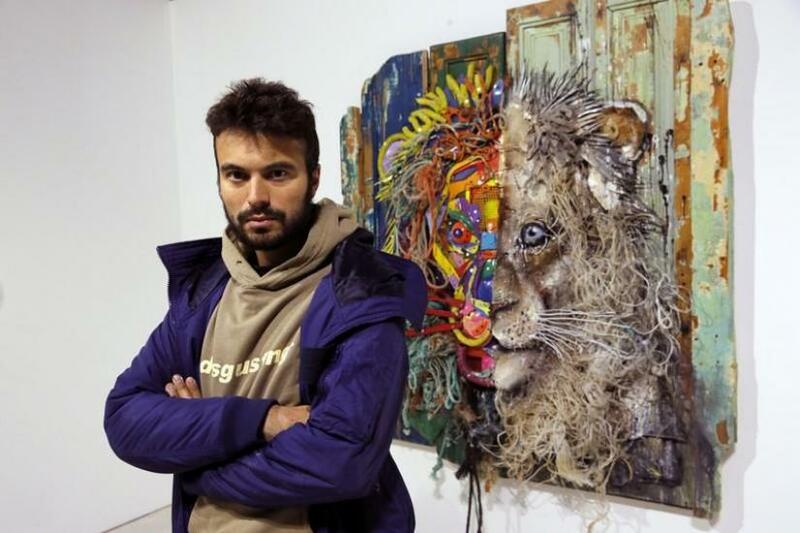 The artist, whose real name is Artur Bordalo, is bringing his work to the French capital in the exhibit entitled "Accord de Paris" (Paris Agreement), a reference to the 2016 Paris Climate Change Agreement. On display are brightly coloured sculptures and art works depicting animals made with plastic waste Bordalo II finds in recycling centres, rubbish dumps and on the street. "The idea is not to make something beautiful out of trash, it's to make people stop and look and understand what's behind it," he told Reuters. He represents nature with sculptures of animals rather than plants, "because they are more similar (to) humans". "We are destroying the world with our habits," he said.